Death Stranding is an upcoming video game being developed by Kojima Productions and to be published by Sony Interactive Entertainment for the PlayStation 4. Kojima announced the game at Sony’s conference at the Electronic Entertainment Expo 2016. The font used for the game logo in the promotional poster above is Sackers Gothic Light. The engraver font family was developed in 1994 by the Monotype Design Studio, based on the form of ancient Roman inscriptions. It is available in three weights. The Sackers Gothic font identified above is not available for free, please follow the link above and purchase the font. Meanwhile, you can take a look at our collection of fonts for cars, pop music and apparel as well as round-ups of new & fresh fonts around the web. 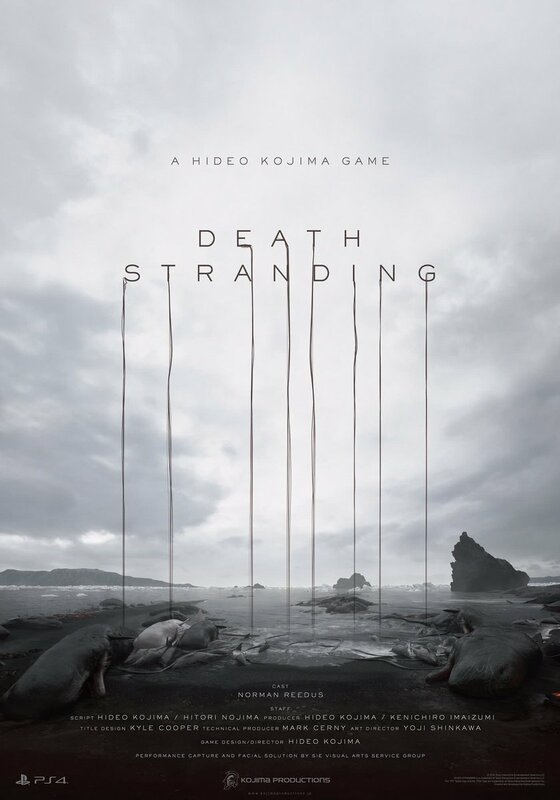 In addition to Death Stranding, Sackers Gothic typeface is also used in the following logos, movie posters or album covers etc., including: Gone Girl, The Weinstein Company, The Glass Castle.